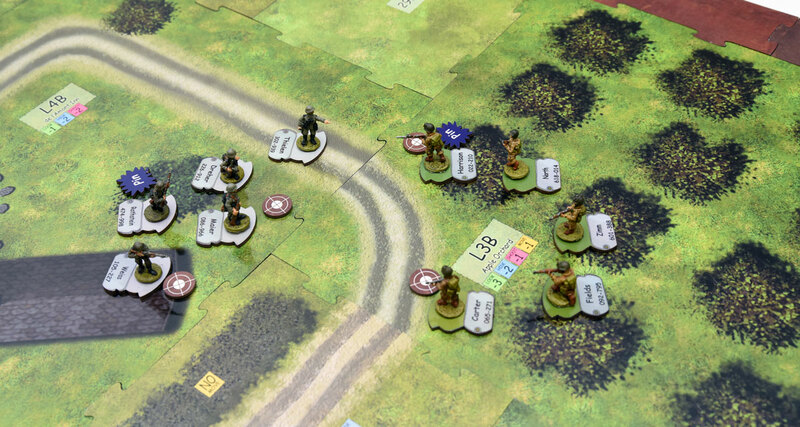 Each Sergeants Miniatures Game Expansion set continues the storyline of the D-Day invasions. All new scenarios and map additions help reinvigorate your game. Every expansion comes with additional player pieces with the thought of larger games in mind. 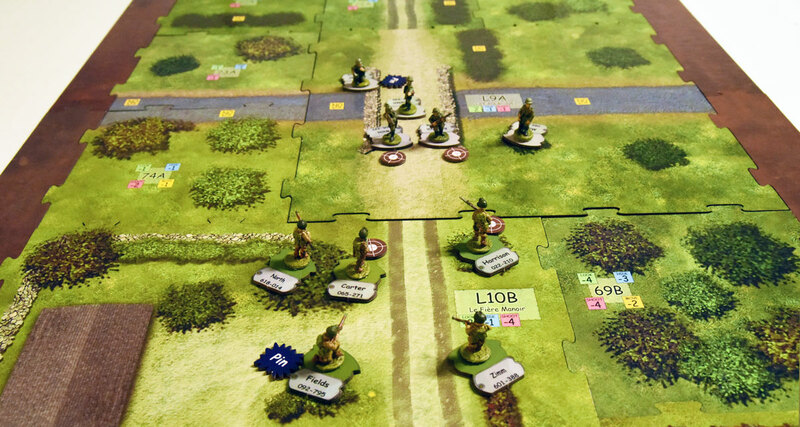 Road to Carentan – Day of Days Chapter 2 – continues the Day of Days saga after the June 6th drops into Normandy as the march to the city of Carentan begins. New Landmark tiles that include: de la Haunte Mansion, Apple Orchard, the Graveyard, and the de L’Amont Inn. 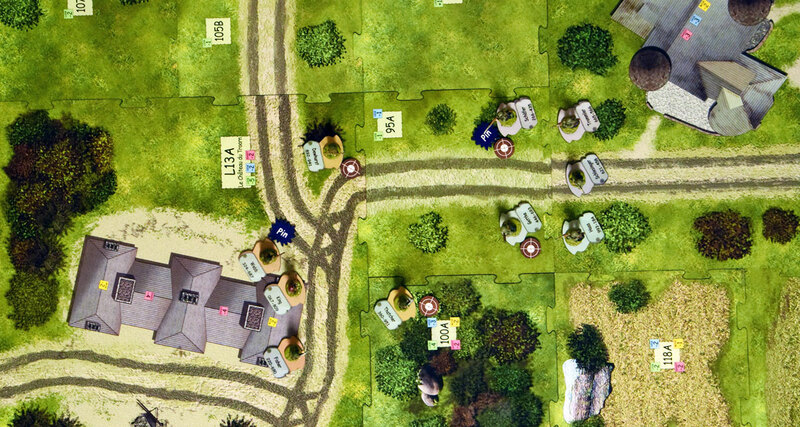 Create larger maps for up to six players by adding sweeping movement and deadly fields of fire. Open areas and roads allow machine guns and long-range weapons to be extremely effective. 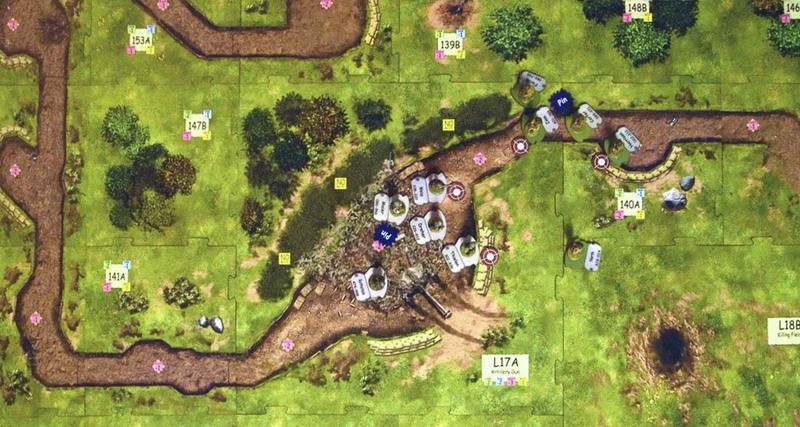 La Fière Bridge – Day of Days Chapter 3 – the war rages across Normandy, and this time the primary focus is on the La Fière causeway. New Landmark tiles that include: La Fière Bridge, the flooded field of Pâturage de Vache, the Forests of Merderet and the famous La Fière Manoir. 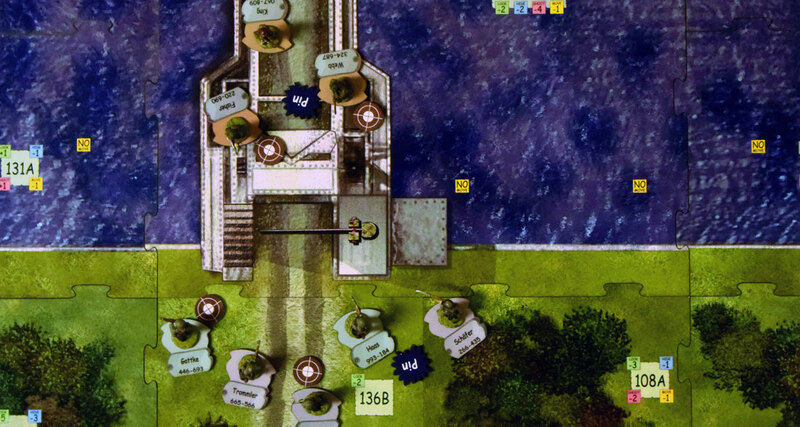 Create larger maps for up to six players by adding difficult terrain with extensive cover. 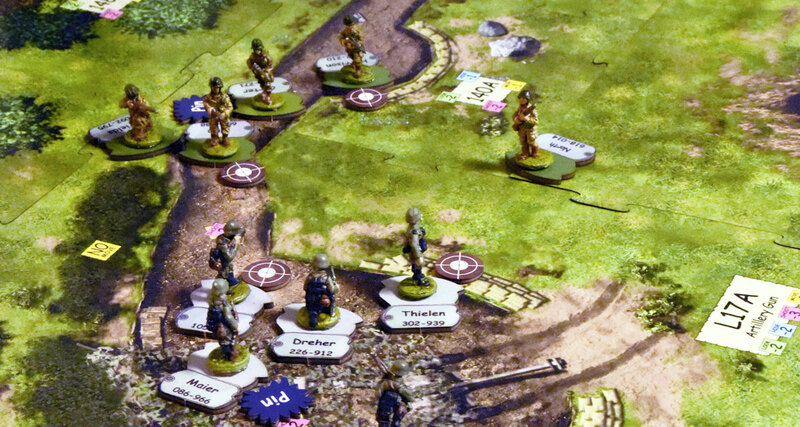 The heavily wooded terrain and flooded fields slow movement and challenges your approach to objectives. The bridge and manor are a challenging pair of Landmarks to control. 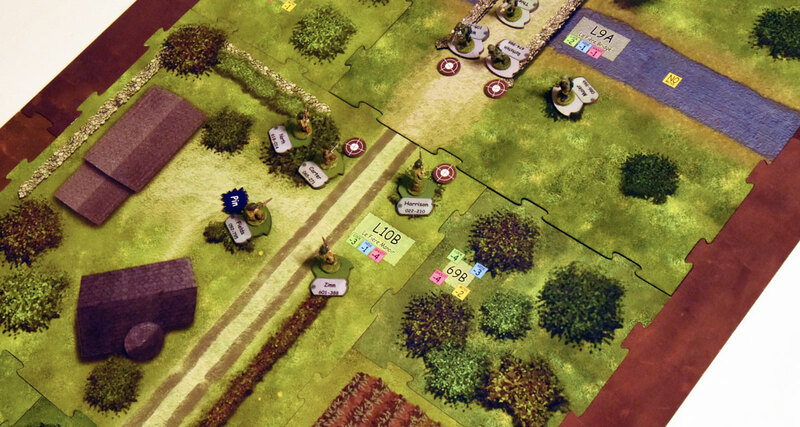 Brècourt Manor – Day of Days Chapter 4 – recreate the famous battle of Brecourt in this exciting new expansion for SMG. New Landmark tiles that include: the Artillery Gun, the small farm of Maison de Ferme, Brècourt Manor and the Killing Field. Create fast paced games for up to six players from overrunning enemy artillery guns, to weaving your forces in and around trench-lines and even storming Brécourt Manor itself! Operation Tonga – Red Devils Chapter 2 - covers the night of June 6, 1944, when the British 6th Airborne Division parachuted into Normandy between the Orne estuary and the Dives River and marshes. New Landmark tiles that include: The manor, Manoir du Bois, and the surrounding woods - Le Bois, Le Château du Troarn, and Vanelle du Plain. Creating play for up to six players with adverse terrain conditions from flooded fields to thick forests with navigatable deer paths. 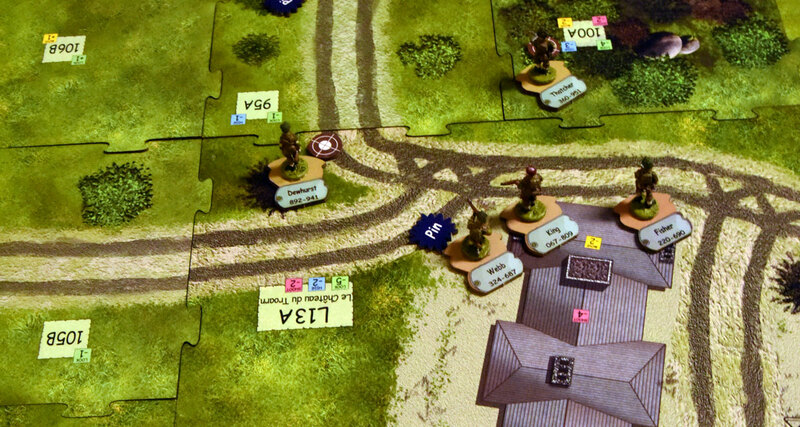 Try the night rules to simulate the initial British drops for added danger and complexity. Pegasus Bridge – Red Devils Chapter 3 –The Bénouville Bridge, later renamed Pegasus Bridge, was one of the first battles of D-Day. 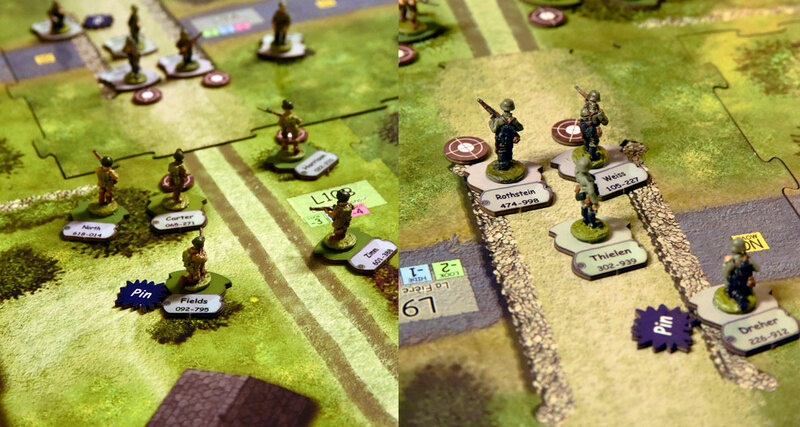 British airborne and glider infantry landed nearby and took the German forces by complete surprise. New Landmark times that include: Haras de Bréville, the small Café Gondrée, the cratered road of Rue Vitrée and the famous Pegasus Bridge. 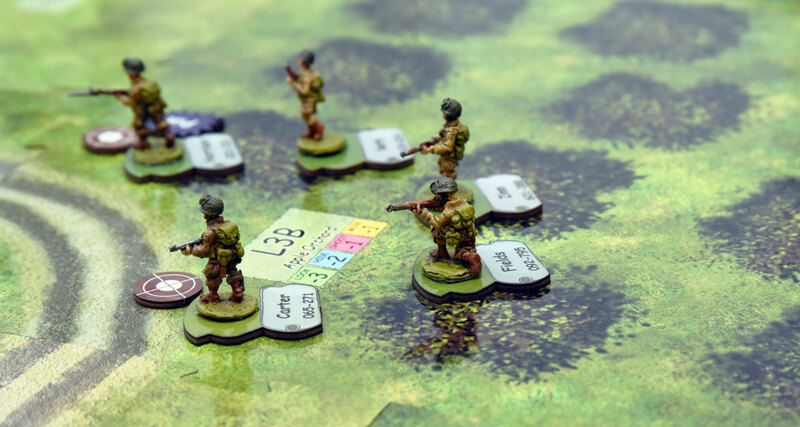 Creating play for up to six players with flooded fields that restrict movement but open roads that can be deadly for marching infantry. Night rules can be added to increase difficulty and to more challenging gameplay.